John Lawrence, who survived the Indian Mutiny and later became India's second viceroy. He eventually retired to 26 Queen's Gate, just west of the Victoria and Albert Museum. 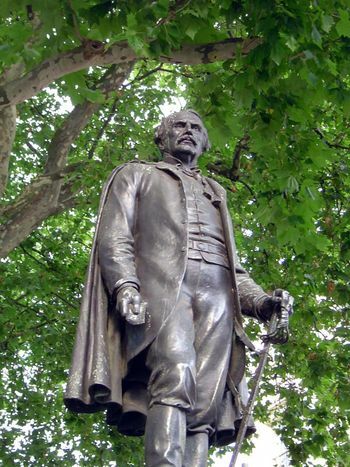 He stands here at Waterloo Place.